PLEASE NOTE: If you are wanting to make more than one of a project, we do have an option to purchase additional kits WITHOUT the pattern. 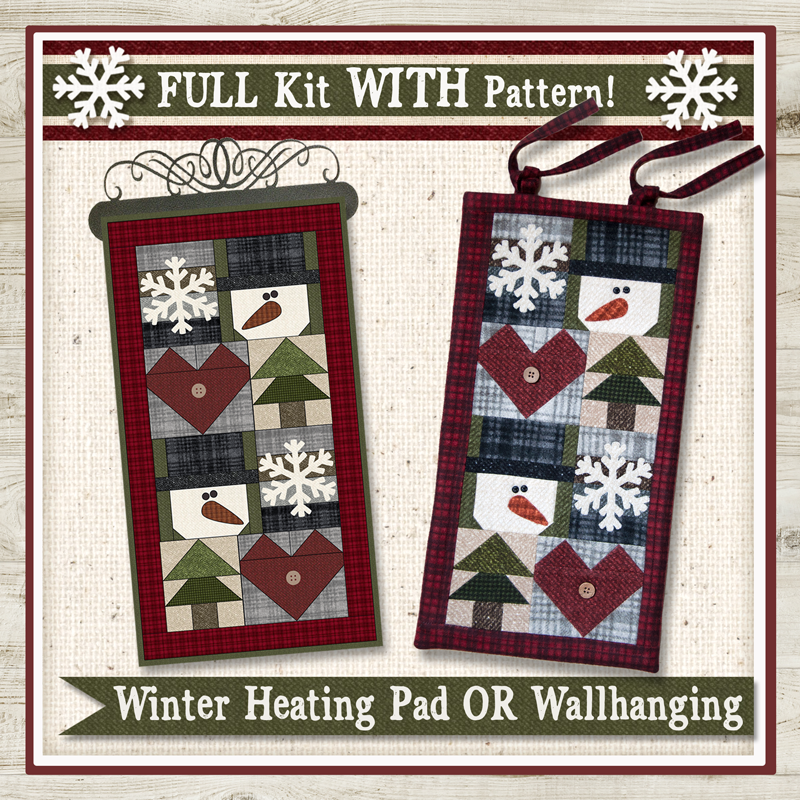 That way, you can just purchase one full kit- with the pattern- and then purchase additional kits without. 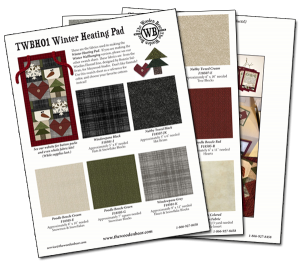 Click here to see the Kits WITHOUT Patterns. 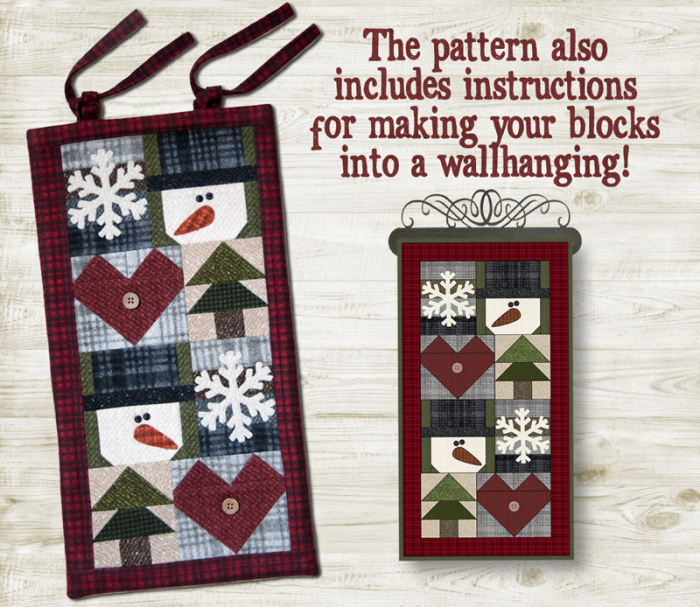 The pattern includes directions for making either the heating pad or the wallhanging. Here, you can purchase either one of these kits, or both! You simply need to add the flax seed or rice for the heating pad filler! Finished size of either project is approximately 9" x 17". This adorable heating pad is basically a bag with two ties at the top. 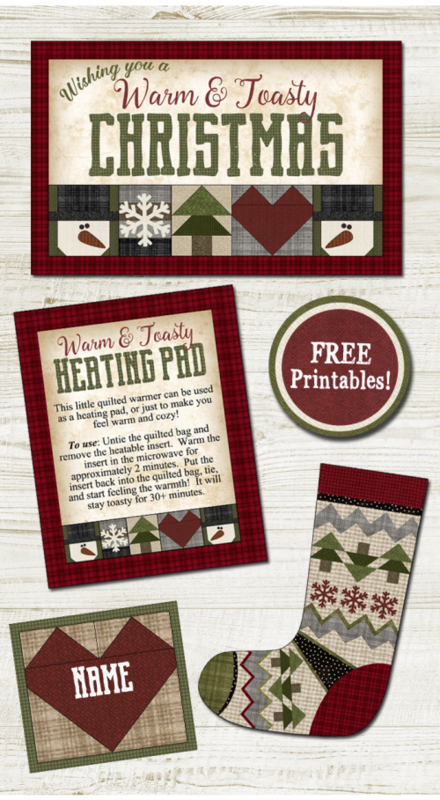 You heat up the heatable insert that you will make following the instructions. The insert is filled with either whole flax seed, or rice. 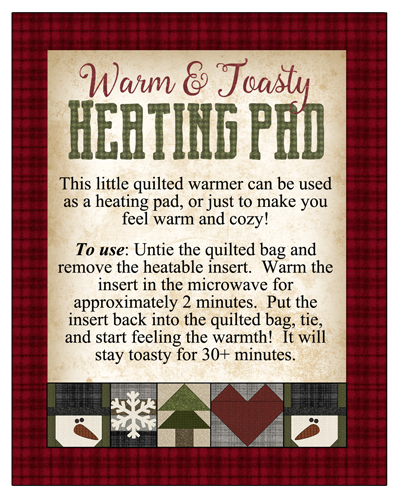 Once you heat the insert in the microwave, put it into the quilted bag, loosely knot the ties at the top, and enjoy! 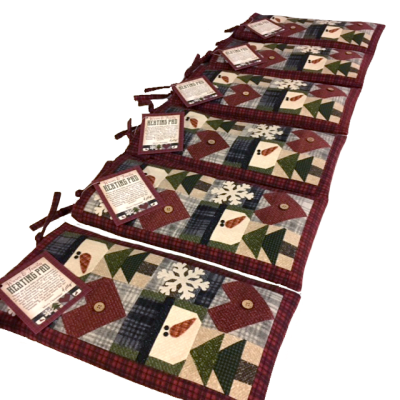 I made this heating pad last Christmas for the women in my family. It turned out great, and everyone seemed to love them, and we had such great response when I shared the pictures on Facebook, so we patterned it! It was a great project to do in an assembly line fashion. I made a matching instruction tag that tells how to use the heating pad. A hole was punched in one corner, and it was tied to the heating pad with a piece of jute string. 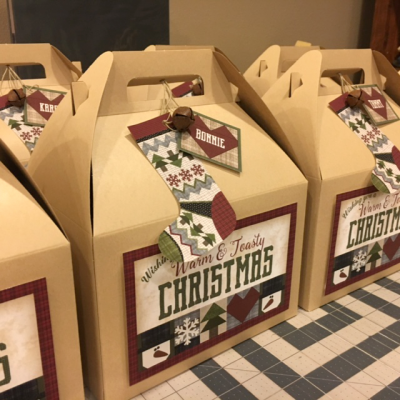 For the packaging, I made a graphic that coordinated with the fabrics and blocks, and printed and glued it to the front of a gable box. (These are available on our website.) I also punched a hole in the cute sock graphic and tied it to the box along with a rusty jingle bell and a name tag. I loved how it all tied together and coordinated, and it warmed my heart (no pun intended) to give a fun and useful gift. I'm giving the graphics to you for FREE, and we hope you enjoy! Simply click here, or on the image below! We have also provided handy-dandy swatch sheets showing all fabrics used and materials needed. Click one of the images below to download.